Responsibilities, work schedules, physical and emotional demands, and lifestyles among commercial drivers vary by the type of driving that they do. Some of the main types of drivers include the following: turn- around or short relay (drivers return to their home base each evening); long relay (drivers drive 8-10 hours and then have an 8-hour off-duty period); straight through haul (cross country drivers); and team drivers (drivers share the driving by alternating their 4-hour driving periods and 4-hour rest periods). The following factors may be involved in a driver's performance of duties: abrupt schedule changes and rotating work schedules, which may result in irregular sleep patterns and a driver beginning a trip in a fatigued condition; long hours; extended time away from family and friends, which may result in lack of social support; tight pickup and delivery schedules, with irregularity in work, rest, and eating patterns, adverse road, weather and traffic conditions, which may cause delays and lead to hurriedly loading or unloading cargo in order to compensate for the lost time; and environmental conditions such as excessive vibration, noise, and extremes in temperature. 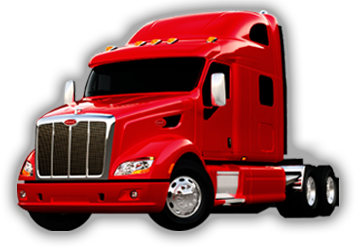 Transporting passengers or hazardous materials may add to the demands on the commercial driver. There may be duties in addition to the driving task for which a driver is responsible and needs to be fit. Some of these responsibilities are: coupling and uncoupling trailer(s) from the tractor, loading and unloading trailer(s) (sometimes a driver may lift a heavy load or unload as much as 50,000 pounds of freight after sitting for a long period of time without any stretching period); inspecting the operating condition of tractor and trailer(s) before, during and after delivery of cargo; lifting, installing and removing heavy tire chains; and lifting heavy tarpaulins to cover open top trailers. These tasks demand agility, the ability to bend and stoop, the ability to maintain a crouching position, frequent entry and exit of the cab and the ability to climb ladders on the tractor and/or trailer(s). In addition, a driver must have the perceptual skills to monitor a sometimes complex driving situation, the judgment skills to make quick decisions when necessary, and the manipulative skills to control an oversize steering wheel, shift gears using a manual transmission and maneuver a vehicle in crowded areas. A person shall not drive a commercial motor vehicle unless he/she is physically qualified to do so and, except as provided in 391.67, has on his person the original, or a photographic copy of a medical examiner's certificate that he/she is physically qualified to drive a commercial motor vehicle.